The Carbolite CAF G5 Ash Fusibility Test Furnaces is a furnace designed to test ash fusibility, and optionally, the increasingly popular determination of biomass or solid recovered fuels testing. The coal ash fusibility test furnace conforms to the Standards ISO 540:2008; ASTM D 1857 / D1857M - 04 (2010); DIN 51730:2007-09; DD CEN/TS 15370-1:2006 (biomass) and PD CEN/TR 15404:2010 (solid recovered fuels (SRF)). The CAF G5's automatic and continuous recording of digital images allows laboratory technicians to carry out other tasks while the test is in progress, reviewing results later. 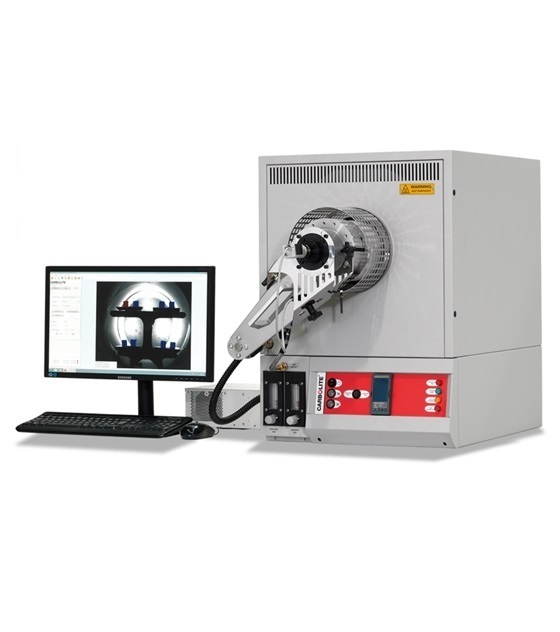 The new CAF G5 greatly enhances the quality of the recorded images and test results increasing efficiency in laboratories. The maximum temperature of 1600 °C enables both biomass and coal testing. An optional work tube integrated lighting system is also available when testing low "initial deformation" temperature of SRF or biomass samples. • Automated digital image capture of samples. The frequency of images recorded is set by customer preference, from every 1 °C increment to every 20 °C. The maximum interval for auto analysis is 5°C.